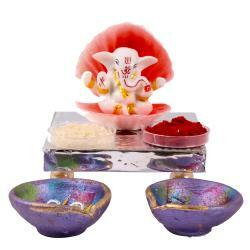 Product Consists : Charming Ganesha Idol (Height:2.7 inch), 2 Tea Light Diya, Roli Chawal along with Designer Silver Chowki. Lord Ganesha is widely worshiped as the god of good fortune and traditionally invoked at the beginning of any new venture or at the start of travel or any other start. 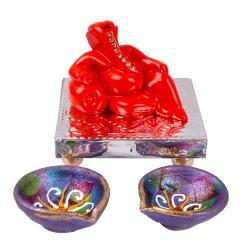 Bring home prosperity and happiness by keeping this Lord Ganesha idol in your home. 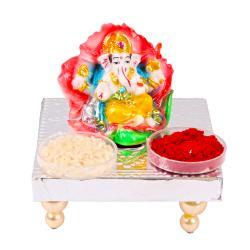 Lord Ganesha is worshiped before starting any new work. 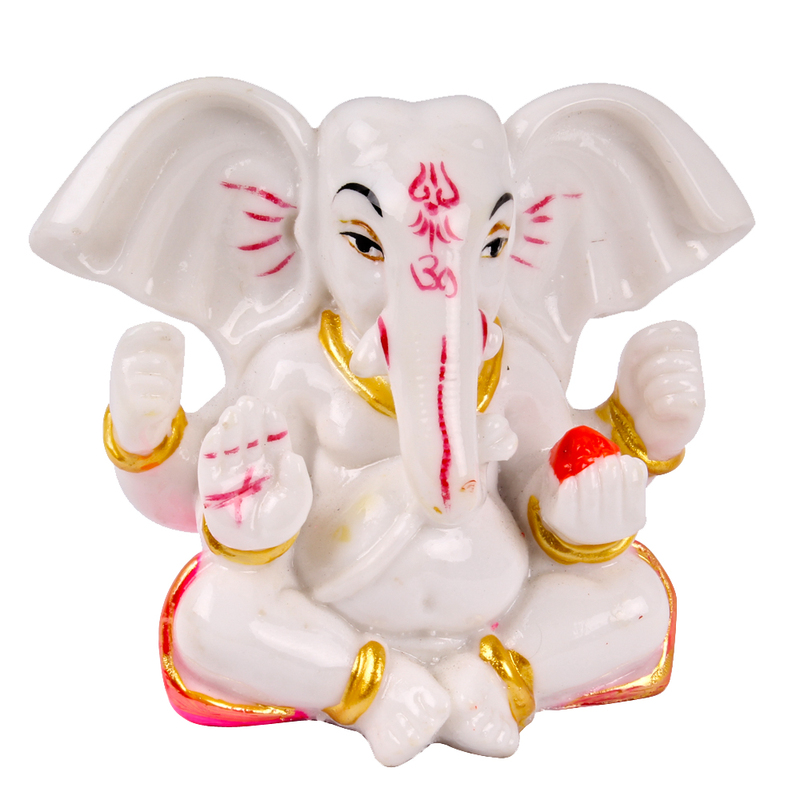 He is considered to be the God of intelligence and remover of obstacles. 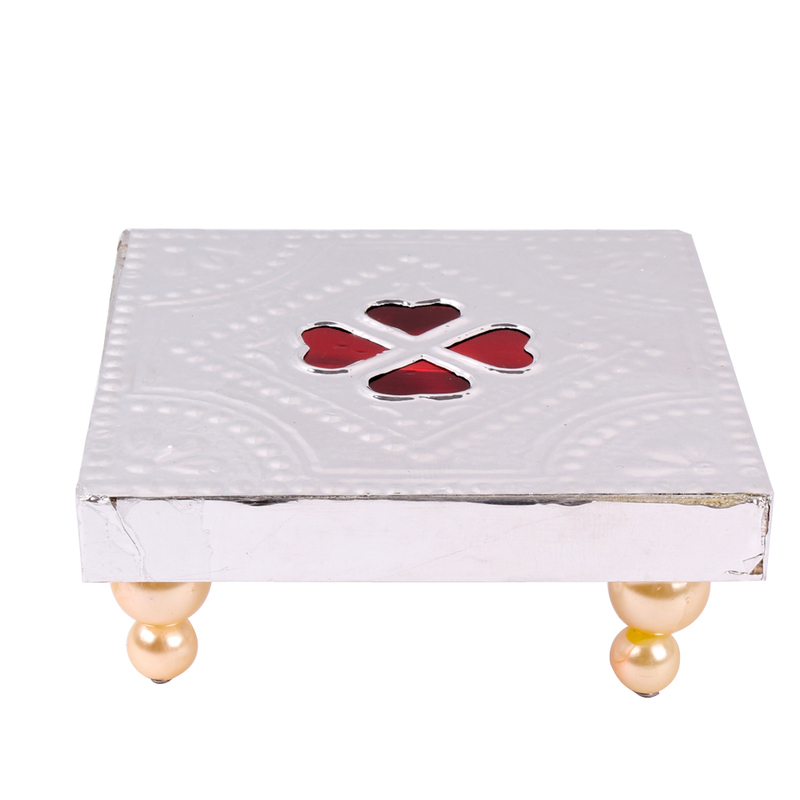 An auspicious gift for yourself and others, supreme quality, durability, smooth finish, Aesthetic Design and Attractive Look. As the god of beginnings, he is honored at the start of rituals and ceremonies. 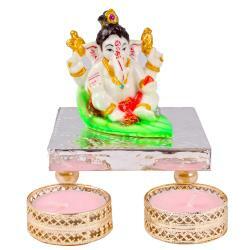 This small Ganesha showpiece is very well designed and finished which can be kept in car as well and at a home temple. 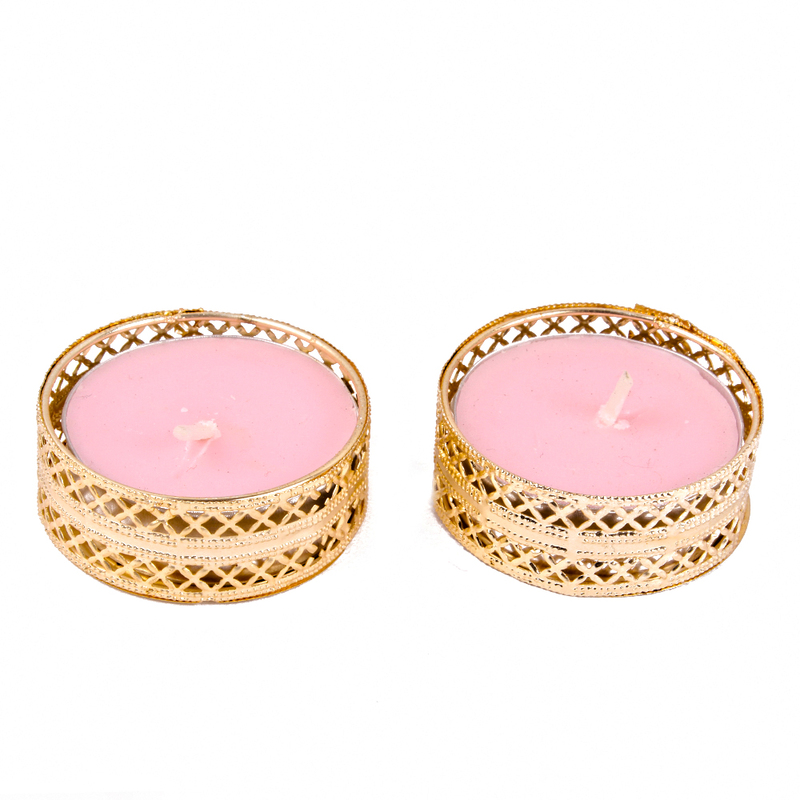 Tea Light Diya completed this gift for Diwali. 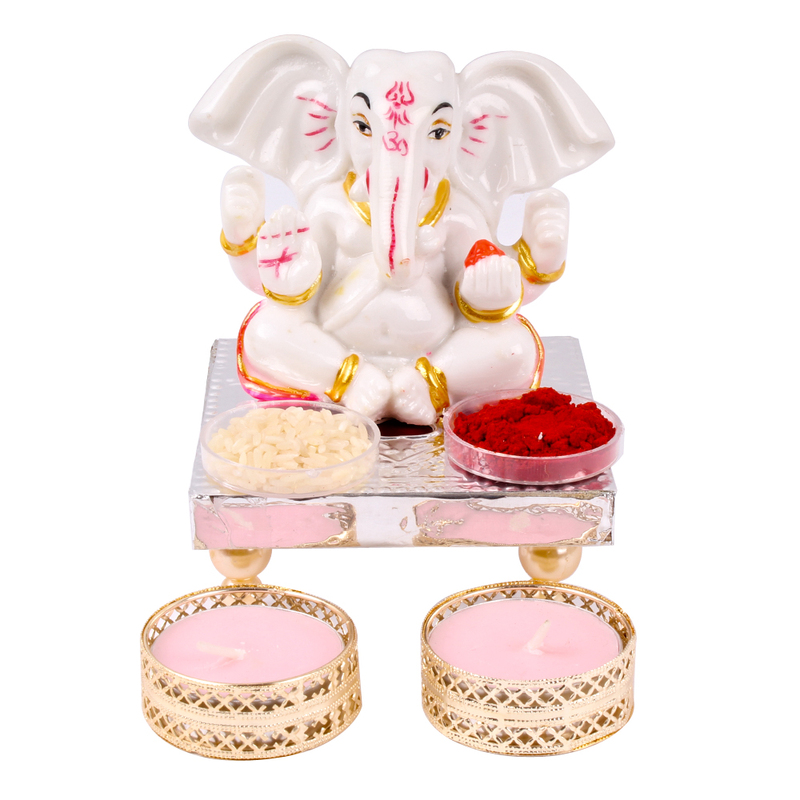 Product Consists : Charming Ganesha Idol (Height: 2.7 inch), 2 Tea Light Diya, Roli Chawal along with Designer Silver Chowki.